Basically what this tutorial will show you is how to make folders that won't show up in windows even with the show hidden files/folders option on. 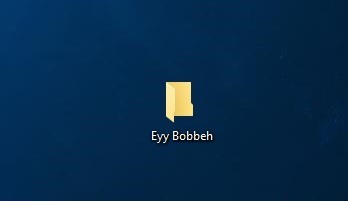 First thing you need to do is make a folder on your desktop. This removes the attributes from the folder thus making it visible once again. And when we do not remember that we hid a folder before, how do we know in where we have a folder like that? In Control Panel go to Appearance and Personalization. Then you click on File Explorer Options and navigate to the View tab. 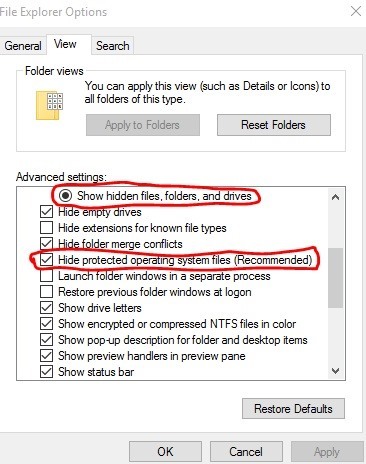 Then, make sure that you are showing hidden folders and a bit lower down uncheck the option to hide system files. Then simply navigate to the directory where your folder was and you should be able to see it.